During my safari to Tanzania, Africa I was inspired by the powers a lioness holds within her pride. Her cubs watched patiently as she and other lionesses hunted food on the plains. 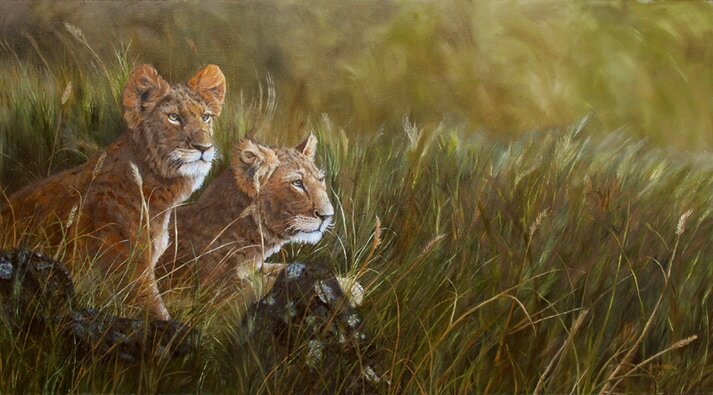 I wanted to capture the spirit of two young cubs as they learn hunting skills from the lionesses.